Olivier Giroud lit up The Emirates with a sensational Goal of the Season contender, while Alex Iwobi's header condemned Crystal Palace to a first defeat under new manager Sam Allardyce. 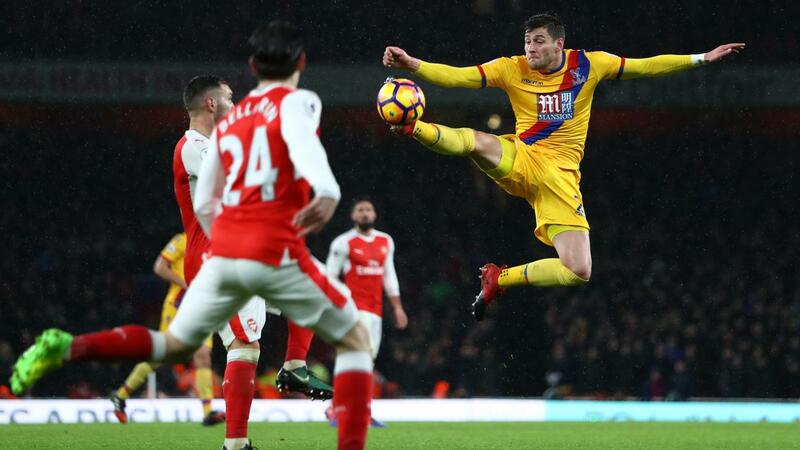 Palace had their chances up top, but a mix of wasteful attempts and excellence from Petr Cech ensured Arsenal would run home comfortable winners in the first Premier League meeting of 2017. The Gunners thrust into third position, leaping above Tottenham and Man City in the process, while Crystal Palace remain two points off the daunting relegation zone. Arsene Wenger's side started with intent, as Nacho Monreal scorched up and down the flank; eventually crossing in a cross from the left but attackers Olivier Giroud and Lucas Perez both missed the chance to convert early. Even ten minutes in, it looked to be a long and enduring evening between the sticks for Wayne Hennessy, who did well to save Alex Iwobi's low shot, subsequent to Alexis Sanchez testing the waters with a sweeping strike that pinged just wide of the target. For a Sam Allardyce side, Palace's back line certainly weren't operating to the standard that was expected. They were well-disciplined at Watford, but seemed a shadow of the team that earned a draw at Vicarage Road. 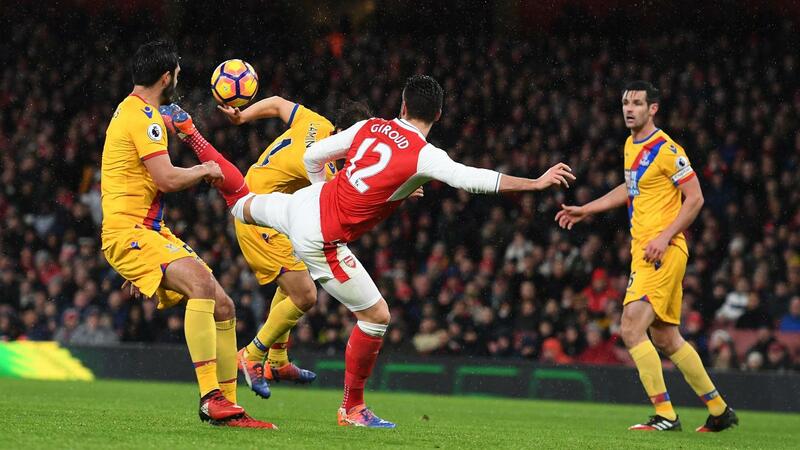 And perhaps the quality of defending was below average, but no one could stop or even anticipate the sublime quality of Olivier Giroud's 'scorpion' goal moments later. Alexis Sanchez's initial cross seemed too low to materialise anything with, but Giroud defied all doubts as he hooked his boot onto the ball; breezing through the cold air and deflecting off the crossbar and in. Reflexes, athleticism in abundance; a bit of luck, too! Allardyce's crew knew the chances would run thin, and that's what made Christian Benteke's wayward header all the more frustrating. Andros Townsend broke and crossed well; the striker's balance seemed off as he met the ball, while moments later Alexis Sanchez saw two efforts blocked in and out of the six-yard box. The hosts turned up the heat and put out any fire Palace had in the tank. The look of a tired, disinterested visiting side were pummelled on the flanks and punished in the air, as Alex Iwobi met Monreal's short cross to rise high and guide home impressively. Petr Cech made two excellent stops in succession; tipping over Cabaye's speculative attempt and subsequently denying a low piledriver from the energetic Townsend. He makes his mistakes, Cech, but is overall world class and one of Arsenal's better signings over the years. Nacho Monreal received a booking for fouling Zaha late in the second half, however more frustration grew for Sam Allardyce's team as Jordon Mutch rifled the following free-kick over the bar. The Gunners oppressed Palace even late on, forcing Hennessy to keep out Ramsey's pinging shot and a low effort from Oxlaide-Chamberlain, who earlier replaced Iwobi, in the final act of a match not deprived of star quality.